After a successful career in print, advertising, marketing, and hospitality working in both her own business and others, Glenys completed her Real Estate Licence in 2003 and has worked in Residential, Lifestyle, and Commercial sales since that time. 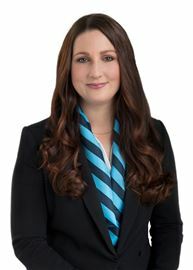 A consummate professional, who is customer focused, goal orientated and with a desire to serve others, Glenys has joined the Harcourts Twiss Keir family at the Belfast office, after two years in the City office. With a caring nature and her ability to build long term relationships you can be assured that if you trust Glenys with your property, she will do everything in her power to create solutions and make your dreams come true. 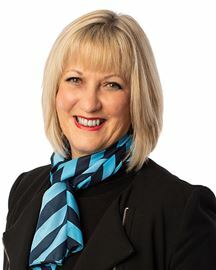 “In all aspects of my business life no matter what field, I believe in providing the best service, advice, and follow up, but always ensuring all business is interspersed with liberal amounts of fun, because that is when the magic happens and the relationships take off.” Glenys recently completed her full REINZ Agents Licence and a Bachelor of Applied Management in Change and Transformation. "Glenys is one of the most hardworking professional consultants I have ever dealt with. Every interaction was done in the most professional but caring manner. Nothing was too much trouble and as I was an out of town buyer there was a lot of emailing and sorting out to be done prior to me flying in. Glenys took on board everything I was needing so well that when we finally put in an offer, it was on a house I had yet to go through! She nailed it, house was perfect. I couldn't recommend her more highly, fabulous to work with." Originally from China, Belinda has lived in Christchurch for the last 13 years. On first arriving in New Zealand Belinda studied at Lincoln University and achieved a Bachelor of Commerce. 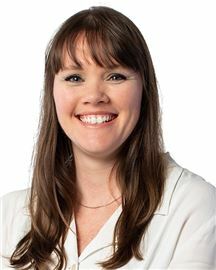 As an Accountant Belinda worked for General Cable New Zealand Ltd which has been on the top 500 companies list for the last 10 years. Belinda has also had hands on experience running her own local business with her husband. 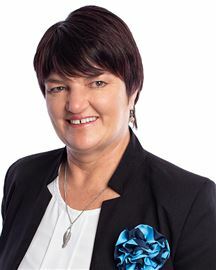 With Belinda's sound knowledge of the New Zealand financial system Belinda can offer valuable investment information and practical information to those new to the New Zealand market. Mandarin is Belinda's mother language, and after being married for 10 years to her Cantonese husband she is also fluent in Cantonese. Alongside her strong English skills she can adapt her language to suit the needs of clients. An area of Specialty for Belinda is her strong Chinese community background. 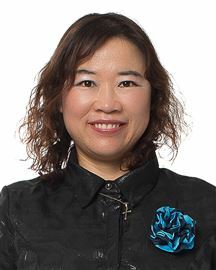 She has the expertise to bridge and connect the Kiwi and Chinese communities and assist new migrants to enter the mainstream society in New Zealand. Real Estate has always been a natural interest for Belinda and to this she brings a natural enthusiasm. She is a complete professional with a manner that is attentive and friendly. Her ability to listen and tailor solutions to meet individual requirements is a benefit to her clients. Dennis has a strong reputation of doing right by his clients and is always very professional and sincere. Dennis has been with Harcourts for 20 years and has sold over $70 million of real estate. He knows the real estate market and the Canterbury area exceptionally well and is experienced in residential, lifestyle, rural and business sales. Consistently a top performer, Dennis strives to add value to his clients real estate experience. If all things are equal, the final difference is Dennis. Eloise received her Real Estate License after working for Glenys French as her personal assistant for 3 years. With 15 years’ experience in the design and marketing industry in South Africa, her passion is evident in her work. Spending time with her family keeps her grounded and helping people find their perfect home is rewarding. "I have found Eloise to be helpful and understanding. She quickly assesses a situation and works out what needs to be done. She is patient and manages to explain things that need attention. She can be low key but swift to act when needed. She is always polite, kept in contact regularly and kept me up-to-date with what was happening. I was blessed to have her look after me so well. " After 12 years in the Thoroughbred Racing industry Hollie is very experienced at running winning campaigns that gained top results for trainers and owners. Selling your home with Hollie will be no different. She will use her skills to create marketing campaigns that fit your needs and give you the best possible outcome. Working with a diverse range of people has given Hollie excellent communication skills and the ability to interact with people from all walks of life. 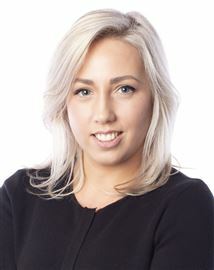 “I Love meeting new people and fresh challenges, and securing top results for my clients is my number one priority” If you are looking for a results driven sales consultant, then the winning choice is Hollie. Contact her today! Jackie Wither ... Brings energy and professionalism to provide an all-round real estate solution for you! Whether selling or purchasing, Jackie's attention to detail, willingness to please and a no-pressure approach, will ensure you will experience the finest customer service from a salesperson committed to achieving "Top Results". "All clients have different needs and concerns". She recognises the need for constant communication throughout every aspect of the sale process. Since taking up real estate as a career in 2000 she has helped many people to their next stage in life. "My aim is to provide exceptional service based on honesty, empathy, being a good listener and of course, keeping clients fully informed. This service is backed up with a sound business acumen and a thorough approach to every aspect of the deal" Jackie Says. Jeremy brings an accomplished career in sales and marketing to the business of Real Estate, and prides himself in delivering the best results for his clients. His experience in senior marketing roles for brands such as Fujifilm, Philips, and Nikon provide a level of expertise and know-how which translates directly into bringing your property into focus for prospective purchasers. Equally, his empathetic nature allows him to align with buyers needs when looking for that ‘dream home’ or investment property. With a skill set including negotiation, promotional planning and more recently on-line and social media marketing, Jeremy is well equipped to market your property to it’s fullest potential. Returning from overseas in 2003, Jeremy has come back to his Christchurch origins and devotes his free time to his wife and two young boys in what he knows to be the best city in New Zealand to raise a family. Jeremy brings a wealth of sales and marketing experience to Harcourts, and is ready to guide you through the process of buying and selling your property in Christchurch. Call Jeremy today on 021 969 425 to discuss your requirements. Enthusiastic and highly motivated, Jimmy is passionate about achieving goals and helping others to achieve theirs also. Jimmy understands that every client has different wants and needs when it comes to selling or buying a home, so he listens and gets to know his clients before working with them to achieve their specific objectives. Jimmy believes in going the extra mile in every area of life, including serving you in your real estate needs. Jimmy loves keeping fit, coffee with friends, and continued learning. It really is true that we learn something new every day, how awesome is that! If you are considering buying or selling real estate, call Jimmy today for an exceptional service. Absolute honesty, integrity, and passion are the hallmarks of Julia's success in Real Estate. The last 21 years with over 90 Million of settled sales have seen her clients benefit from Julia's ability to listen to their needs, as she works tirelessly to achieve the best possible result for them. Without question she will go the extra mile to bring people and property together. Supplementing these strengths are an extensive local knowledge, and strong marketing and negotiating skills. Her philosophy is simple: "By helping you achieve your goals, I will achieve mine". If you’re looking for a consultant with passion, energy and vast experience then look no further than King. A consultant specialising in residential and possessing extensive knowledge in commercial properties, has given her the perfect platform in real estate. Having been in real estate for over 21 years with Harcourts, she has created a wonderful business, with many repeat clients and referrals being a testament to this. ‘After many years in the real estate industry, I still get a thrill out of it. Like most things in business, it comes down to trust. People want to do business with someone they can rely on as buying or selling a home is a very big deal for most people. Hence, they need to be confident that you’ll deliver when you say you will. Over time, through genuineness and hard work, you build up quite a bit of credibility – a huge part of my business now comes from referrals and repeat business, so I take that trust very seriously. King’s passion for life is evident and this can be attributed to a thirst for knowledge continually pushing the boundaries, and her desire to succeed. When King is not selling they enjoy a lifestyle of sports, health, religion and travelling. 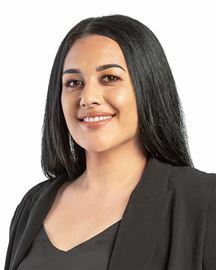 King is fluent in Mandarin and English and has a close affinity with different cultures as she is from multi-cultural Malaysia and has travelled extensively before settling into Christchurch three decades ago. Communication and understanding can make the difference when winning the deal. King prides herself on her personal service - so call today and experience the difference. After 13 years in the real estate industry, Lyn’s extraordinary results need no explanation. Her attention to detail, ability to listen to your requirements combined with her 20 years banking experience give her a head start when marketing and negotiating on your behalf. Her business acumen and understanding of legal procedures and contracts allow her to provide you with a comprehensive service. 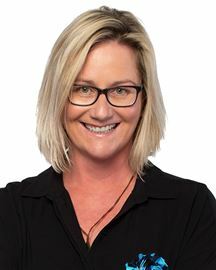 She is a past Coach for the South Island under 15 girls’ Water Polo team and Under 14 Canterbury girls’ team and represented New Zealand herself in the sport for many years. Now working in partnership with her husband Nicholas, who has himself 25 years experience in real estate, they make an effective, friendly team who are genuine and focused in bringing you a great result! Nicholas brings a wealth of experience and a wide knowledge of the real estate industry to his clients having begun his career in 1993. With 23 years experience he has an extensive knowledge of the specialised “Development Market” and a reputation for sound advice to those considering an investment purchase. Consistently ranked in the top 10% of Harcourts consultants nationally and with a total value of sales at $200 million, its not surprising that most of his business now comes from referrals and repeat business... a testimony to his success. Now working in partnership with his wife Lyn, who has herself 13 years experience in real estate, they make an effective, friendly team who are genuine and focused in bringing you a great result! 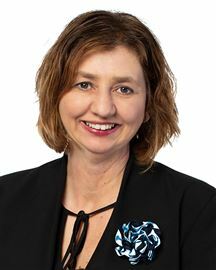 Paula has been part of the team at Hornby as a Real Estate Professional since 1994, and has been successfully working in the sales field for most of her working life. Paula undertakes to provide a high level of service to anyone employing her to sell their biggest asset and to do this in a stress free, professional manner. The difference between ordinary and extraordinary is simply that little extra. A move to Real Estate came about from a long standing interest of property and the Canterbury area and community. 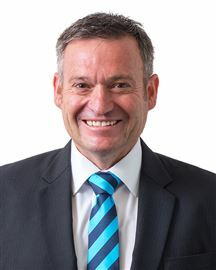 Christchurch born and having spent the past seventeen years with his partner in the Selwyn district, Scott has a strong commitment and passion for the property market and the future of this fantastic region. After nearly twenty years in the service industry as well as successfully owning and managing his own business, alongside striving for a high level of client satisfaction, Scott feels a confidence at building a lasting and beneficial relationship with his clients both now and for the future. Scott is an enthusiastic, motivated real estate professional who knows the importance of both the emotional and financial goals, whether buying or selling Real Estate. Knowing the significance that is a privilege to have the opportunity to represent you in achieving the best possible result in today’s market. Simon Rowland-Jones has an extensive background in import-export markets and business ownership, which has provided a sound base for his successful career in real estate. Over the years, Simon has developed his invaluable network of connections internationally including high profile international institutional investment groups, hotel and tourism operators and property investors/developers. Many of his clients have directly benefited from these connections ensuring Simon is able to offer clients a confidential and discreet real estate service, which is so often required with commercial and business sales. As a result of Simon’s expertise in negotiating large assets sales he has also had the opportunity to work on many high profile residential property transactions and continues to use the same level of professionalism and determination to achieve outstanding results. Simon’s strong negotiating skills will work even under the most demanding circumstances, providing assurance to his clients that their most valued assets achieve maximum value realisation. “I appreciate the importance of my role and I’m absolutely committed to meeting or exceeding your expectations” Stevie is one of those people that truly possess what many call the ‘X-factor’ – the ability to turn lots of hard work, commitment and good decisions into success. Already Stevie has an impressive resume of personal and professional experiences to call upon in his 26 young years. Stevie has managed to excel in a number of areas including sports, namely rugby and cricket, as well as his extremely successful equine and harness racing career. Among the highlights were winning the NZ Racing Junior Premiership in 2015 and being crowned NZ Harness Racing Junior Champion in 2016. In order to achieve these successes, Stevie has shown an unwavering work ethic and outstanding people and communication skills. These are the key attributes that he brings to his Real Estate career. Steve’s personality is such that he seems very much at ease in almost any situation and has a great ability to work and succeed under pressure. He possesses a most contagious smile and a “wicked” sense of humour which is a hallmark of his character. 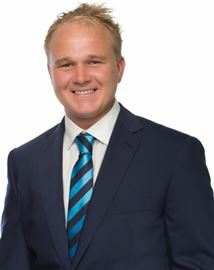 So whatever your Real Estate situation, through his hard work, extensive people and communication skills and professional knowledge, Stevie will assist you in meeting your needs and achieving your goals. When it comes to selling homes it’s hard to beat real life experience earned from the ground up - literally! In her lifetime Sue has designed, built and sold over 18 houses, all whilst juggling a full time professional career. Her success in developing property has put her in perfect stead for a thriving career in real estate, particularly her ingenious knack of finding every unique selling point a property can offer. Sue’s had a loyal, professional career having worked in Senior Executive Assistant roles across the manufacturing, tourism and hospitality industry. This means no detail is left to chance and you can expect high quality appraisals and efficient turnarounds on all your reports, queries and buyer feedback. The negotiation process is where Sue’s natural selling skills really come to the fore. She brings a personal approach and integrity to every deal, making the whole process memorable for all the right reasons. She will lose the sleep on your behalf so you can rest easy knowing the absolute best is being done for your sale. Sue’s experience in home presentation, and knowing what really sells houses, means she’s well placed to give practical advice on what to do to get your property looking its absolute best. This is all part of the service that you get when listing your property with Sue. With Sue – you get exactly what you see. There are no assistants doing your open homes or calling back potential buyers. Sue will handle every part of the sales process from start to finish. A true end to end service that can be quite rare in today’s real estate market. If you want personal service, and a 100% focus, look no further than Sue Mercer, Licensed Real Estate Agent. Jackie Ball has worked as a real estate office administrator since 1988. She takes part in ongoing training to keep her administration and computer skills current to enable her to support her sales team and management to the highest standard and efficient manner. She loves being part of the enthusiastic team at Hornby. Owner moved - must sell! Owners have left the building! Owner gone, must be sold! Live Like You Are On Holiday! Don't miss out! Must Sell! Two Homes, One Has To Go!!! Tart me up - must be sold! Priced to sell under RV! Refurbished and must be sold! The Joy of Springs !!! You Decide! Rent or Reside! The Answer To Your Dreams! Ticks All The Boxes ! Sellers Say "Sell Cellars Way"
New Home Seeks First Owner! After 60 years, MUST SELL!!! One Owner For 55 Years!